Graco Children’s Products has agreed to pay $10 million to settle claims that it failed to recall about four million child car seats with a defective buckle that could make it difficult to free a child in an emergency, according to federal regulators. The National Highway Traffic Safety Administration said Graco would pay a $3 million fine and spend $7 million developing safety programs. Recently, Graco had insisted that the only problem with the buckles was caused by children spilling food or drinks on them. However, parents told federal regulators that they had to cut the straps to free a child, and regulators dismissed the contamination explanation, saying such a problem was foreseeable. In January 2014, the NHTSA demanded a recall. 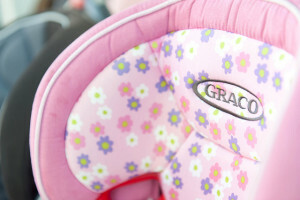 Graco originally refused, but relented about a month later. Federal regulators opened an investigation in December into whether the company should have recalled the seats earlier than it did. That investigation started due to a review of Graco documents that showed that parents complained to Graco about the buckles in 2009. In 2012, the company was telling parents how to clean the buckles and arguing that there was no safety issue. Federal regulations require that once a manufacturer is aware of a safety problem, it has five business days to inform the National Highway Traffic Safety Administration of its plan for a recall or the company will face a civil fine. The maximum penalty is $35 million. If you believe your child’s injury may have been caused by a defective or flawed child safety seat, our Florida Injury Lawyers at Whittel & Melton can help. Car seats are supposed to keep children secure in the event of a traffic accident, which means the device must work properly and be free of any defects or malfunctions that could prevent it from doing its job. While the safety seat should keep a baby or young child secure during a collision, it should also be easy to remove the child from seat without much delay. Manufacturers can be held liable under Florida products liability if their defective product caused injury or death. If a negligent driver played a role in causing the crash that led to injury or fatality, there may also be reason for a Florida auto accident lawsuit. Our Florida Auto Accident Attorneys at Whittel & Melton can help you explore your legal options. Contact us today online or call 866-608-5529 to request your free case consultation.